The fall colors stay beautiful and have mellowed to shades of brown. 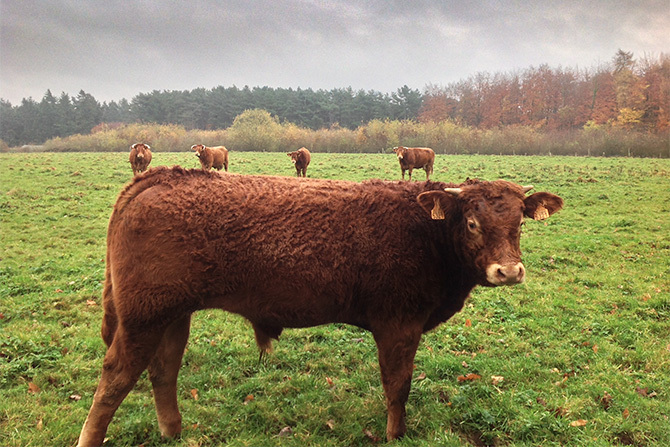 In the meadow at P1 (Hogebermweg) are some beautiful cattle. The meadow is part of the woods, but the cattle are of a farmer.